Mass Spectrometry And Nutrition Research: 9781849730365 Hardcover - LIMEROCK BOOKS INC. 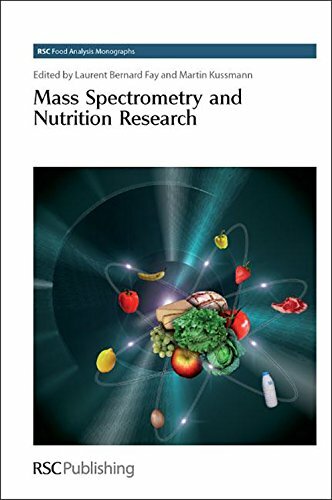 This book focuses on the contribution of mass spectrometry to the advancement of nutrition research. Aimed and students, teachers and researchers, it provides a link between nutrition and analytical biochemistry. It guides nutritionists to the appropriate techniques for their work and introduces analytical biochemists to new fields of application in nutrition and health. The first part of the book is dedicated to the assessment of macro- and micro-nutrient status with a view to making dietary recommendations for the treatment of diet-related diseases. The second part shows how mass spectrometry has changed nutrition research in fields like energy metabolism, body composition, protein turnover, immune modulation and cardiovascular health. Mass spectrometry has developed into a platform for the assessment of health, sensory, quality and safety aspects of food. Current nutrition research focuses on unravelling the link between acute or chronic dietary and nutrient intake and the physiological effects at cellular, tissue and whole body level. The bioavailability and bioefficacy of food constituents and dose-effect correlations are key to understanding the impact of food on defined health outcomes. To generate this information, appropriate analytical tools are required to identify and quantify minute amounts of individual compounds in highly complex matrices (such as food or biological fluids) and to monitor molecular changes in the body in a highly specific and sensitive manner. Mass spectrometry has become the method of choice for such work and now has broad applications throughout all areas of nutrition research. This book focuses the contribution of mass spectrometry to the advancement of nutrition research. Aimed and students, teachers and researchers, it provides a link between nutrition and analytical biochemistry. It guides nutritionists to the appropriate techniques for their work and introduces analytical biochemists to new fields of application in nutrition and health. The first part of the book is dedicated to the assessment of macro- and micro-nutrient status with a view to making dietary recommendations for the treatment of diet-related diseases. The second part shows how mass spectrometry has changed nutrition research in fields like energy metabolism, body composition, protein turnover, immune modulation and cardiovascular health.